You may recall the tragic story of Josef Ganz, the very influential German motor journalist and engineer who was one of the several people who were developing cars in Germany in the 1930s that would directly and heavily influence the design of the famous Volkswagen Beetle. Ganz was written out of history by the Nazis, but now, the only surviving example of a car he designed—a car that’s most like a proto-Beetle—has been restored. And it’s fascinating. That car is the Standard Superior, which I’ve written about before. The Superior was introduced in 1933, five years before the Porsche-designed Volkswagen Beetle was introduced, and had many traits that Ganz championed that would later show up in the Beetle: backbone chassis, rear-mounted engine, independent suspension with swing axles at the rear, and a rounded shape that is certainly evocative of the later Beetle. Historically, the Superior is an important and under-appreciated car. It’s very rare as well; only 250 first-generation Superiors were built in 1933, and it seems only one survived, sort of. The only surviving Standard Superior was found and bought by Paul Schilperood, who wrote the definitive book about Josef Ganz, and Lorenz Schmid, a Swiss relative of Josef Ganz. Together, they embarked on a mission to restore the car to its original state. This wasn’t easy, as over the years the car’s body had been extensively re-constructed with Trabant parts, and didn’t really look like its original self anymore. Even so, this was still a good place to start. The chassis and drivetrain were still relatively original, but the body needed to be very completely re-worked, since most of the original wood-and-fake-leather bodywork was gone, save for the steel fenders. 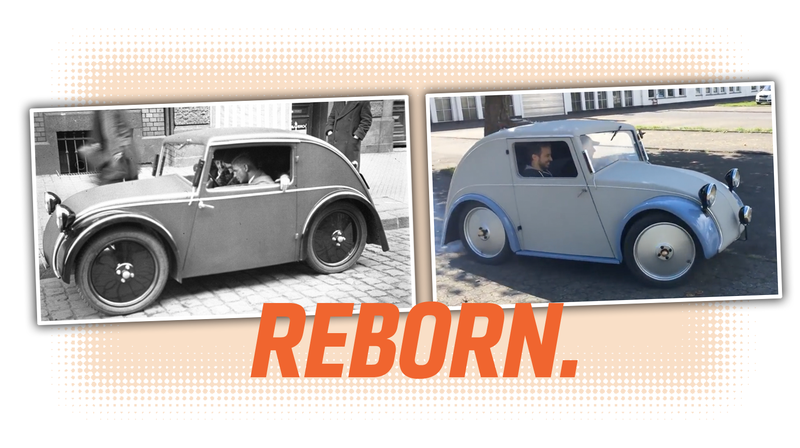 Even though they only got about 30% of their initial fundraising, the team managed to finish the project, and the original Standard Superior—arguably the oldest and most direct ancestor of the Beetle—has been reborn. Rebuilding a car from photographs is never easy, especially when it uses long-obsolete construction methods like the faux leather and wood Weymann technique. The car runs and drives, incredibly, using the old 396cc two-stroke horizontal inline-twin, though it seems the ignition system and some other bits need to be restored to their original configuration. I think this is an amazing achievement, and while the car is humble and extremely spartan and basic, it’s really very important. Now I need to see if these guys will let me take it for a (pretty slow) spin.